A top administrator in Gov. Pat Quinn's Department of Natural Resources was forced to resign amid questions from the Better Government Association, NBC 5 and other news outlets about his moonlighting as a professional bass fisherman while on paid sick leave from state government. But, Travis Loyd said the DNR -- an agency that's seen funding and staffing gutted in recent years -- knew he was fishing while sick. Loyd's reason may seem bizarre, but he is adamant it's absolutely true. He said he was ordered to fish by a doctor to reduce stress because of a medical condition. "The doctor told me I was going to lose some organs if I didn't do something. I was under doctor's orders to go fishing," Loyd said. Loyd, of Downstate Kinmundy, was a pro fisherman long before he became a DNR deputy director in 2009, a job that paid him more than $96,000 last year. After years of fishing in minor pro tournaments, Loyd made the jump to the Walmart FLW Tour a few years ago, which is the top tier of FLW Outdoors fishing divisions. Loyd has earned more than $31,000 fishing on different FLW tours since 1998. He's also politically active. A Democrat, he lost a run for state representative in 2008. After he was hired by DNR, Loyd said he volunteered on Quinn's 2010 campaign. However, Quinn told the BGA he does not know Loyd, and did not know if he was a campaign volunteer. The tour takes Loyd to four-day fishing events all over the U.S. Up until last year, he would typically use vacation or comp time from his state job when he was on the road fishing. That changed in 2013. Timesheets show Loyd missed more than three months of work between May and mid-August, mostly using paid sick time - meaning taxpayers were covering the tab. During that time, he was fishing at tournaments in Oklahoma, Tennessee and Michigan. After the BGA, NBC 5 and other reporters asked DNR officials what was going on, the agency moved swiftly and asked for Loyd's resignation. Loyd was at a pro fishing tournament in Florida when he got the call to resign, and he agreed, even though he said he's done nothing wrong. Loyd said he took the time off under the Family and Medical Leave Act, or FMLA. He insisted DNR officials, including director Marc Miller, knew full well where he was and what he was doing. "For them to indicate that they didn't know I was out at fishing tournaments, baloney!" Loyd said. "This was them knee-jerking. I did absolutely nothing wrong." 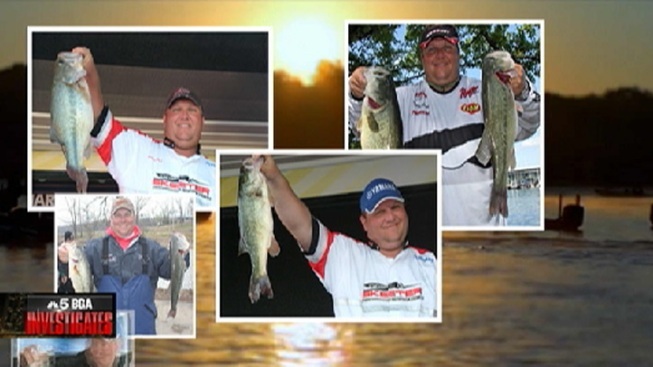 Loyd's doctor, Tricia Warner of Mount Vernon, said in an email to Loyd she did indeed recommend he attend fishing tournaments while on leave in order to reduce stress. She copied the BGA and NBC 5 on that email at Loyd's request. "We discussed hobbies and activities that might alleviate stress," Warner wrote. "You mentioned fishing and being involved in fishing tournaments as very enjoyable and relaxing for you. I encouraged your participation in these activities." Loyd insists his superiors were given that information when they approved his leave. "She told me I had no options," he said. "You've got to find a happy place in your life!" As a top-level employee - he was the No. 3 person at DNR - Loyd is exempt from so-called "Rutan" rules that protect most state workers from being hired, fired or promoted for political reasons. After days of pressing for answers on why, specifically, Loyd was asked to resign, DNR officials finally pointed to a clause in DNR's policy and procedure manual stating "An employee shall not be granted FMLA designated leave of absence for the purpose of seeking or taking employment elsewhere." In other words, the problem wasn't that Loyd was fishing, the problem was that he was paid to do it. Loyd points out he had listed his fishing income on his statements of economic interest filed with the state, so it shouldn't have been a surprise. And he insists his bosses approved his 2013 fishing dates far in advance. But, Quinn said it was still a problem. "Sick leave has rules in Illinois. You have to comply with those rules. If you don't, there are consequences," Quinn said Wednesday following an unrelated news conference. This is not the first time the BGA has looked at possible issues of sick time abuse. In 2012, the BGA showed how former City Colleges Chancellor Wayne Watson cashed in $500,000 of unused sick time. And, the BGA showed how Chicago Public Schools spent $227 million to cash out unused sick time to departing employees over six years. That perk has since ended. The Department of Natural Resources oversees the state's fishing, hunting, parks, mining and waterways, among other things. Loyd's absence not only came during the busy summer season for the DNR. It also came during a time when DNR needed every employee it could get. The agency's staff has been cut in half since 2003, and key programs have been eliminated or severely reduced. This isn't the first scandal at DNR under Quinn's watch. In 2010, Quinn quickly reversed a plan to hire a longtime aide as the state's "canoe czar," an $85,000-a-year role that would have promoted canoeing and kayaking in the state. Patrick McCraney can be reached at pmccraney@bettergov.org, (815) 483-1612, or @patrickmccraney on Twitter.